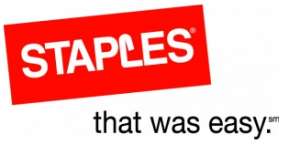 I have another Staples coupon for you!!! This one is a great one!! Head on over here to print an in-store coupon valid for 300 FREE instant labels, good through 8/24! dang! If only printer had ink! I'll email it to my hubs and have him print it off for me. Thanks! I love Staples and actually have an Easy button on top of my dryer!